She is so cute! Fun wavy accents! Sweet! 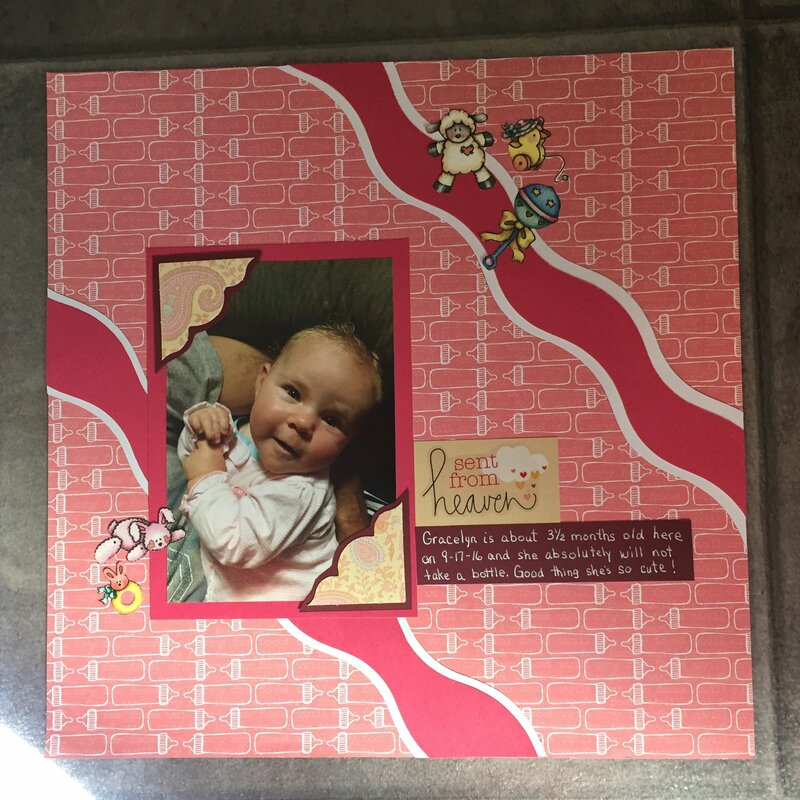 Love the wavy strips that break up the pattern paper and the photo corners. Very cute page and she IS adorable for sure!!!! This is precious Jo! I love the page design and the cute elements!